The Fast Pitch World Series Showcase features select teams from Texas and other South Zone states participating in a College coach driven camp and coached tournament games. Laredo will be hosting two World Series events this year, 2018. PONY Girls Fast Pitch World Series makes its return to Laredo after a very successful 2017 tournament in the Gateway City. 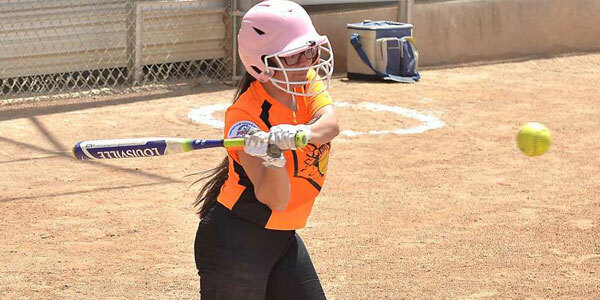 Check out all the latest news and events happening in and around the PONY 2018 World Series Events, and Showcase Tournament in Laredo, Texas. Please share our press releases and spread the word. Laredo is hosting this year’s PONY Palomino World Series for 18 and under at Uni-Trade, home of the Dos Laredos Tecolotes of the Mexican Baseball League. 2018 is the first year the PONY Palomino League Baseball World Series comes to Texas. Laredo will be the first city in Texas to host the 18-year-old and under baseball classic after a very long run in Santa Clara, California. 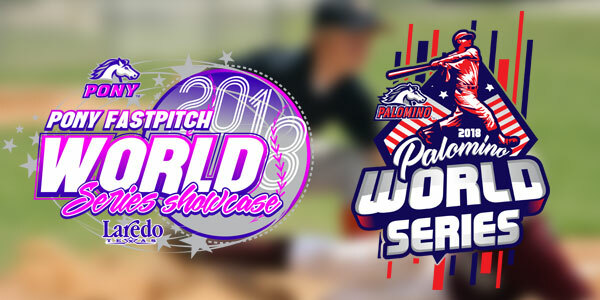 The Palomino World Series is the pinnacle of achievement, as it is the premiere tournament for 18-year-old (and under) PONY baseball players from all over the world. Former participants in the event who are now active players in the Major Leagues include: Donnie Hart (2009 – Baltimore Orioles), Kyle Hendricks (2008 – Chicago Cubs), Austin Barnes (2007 – Los Angeles Dodgers), Daniel Hudson (2005 – Pittsburgh Pirates), Paul Goldschmidt (2004 – Arizona Diamondbacks), Troy Tulowitzki (2002 – Toronto Blue Jays) and David Freese (2001 – Pittsburgh Pirates). The Palomino World Series comes to Laredo, Texas following an 18-year run in which the event was played across the state of California (Santa Clara 2000-04, 2016-17; Rancho Cucamonga 2007; San Jose 2008-10; and Compton 2011-14) and in Caguas, Puerto Rico for a two-year stint (2005-06). Prior to 2000, the event enjoyed a 14-year run in Greensboro, North Carolina from 1986-99. The first-ever Palomino World Series was played in San Jose, California in 1980, while also calling Covina, California (1982-83) and Cincinnati, Ohio (1984-85) home. To find driving directions and maps to the City of Laredo Fields and complexes, click on the information below. PONY registration and affidavit forms are available for download here or at the PONY.org website. To receive PONY World Series information, updates, and directions to fields, hotels, and other important locations, download the LaredoPONY App. Pony © 2019 All Rights Reserved.